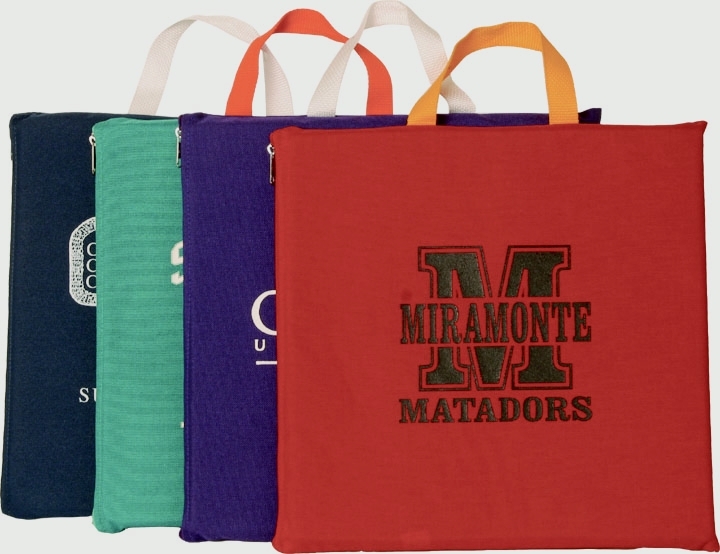 Imprinted With Your School Mascot, Slogan or Message! 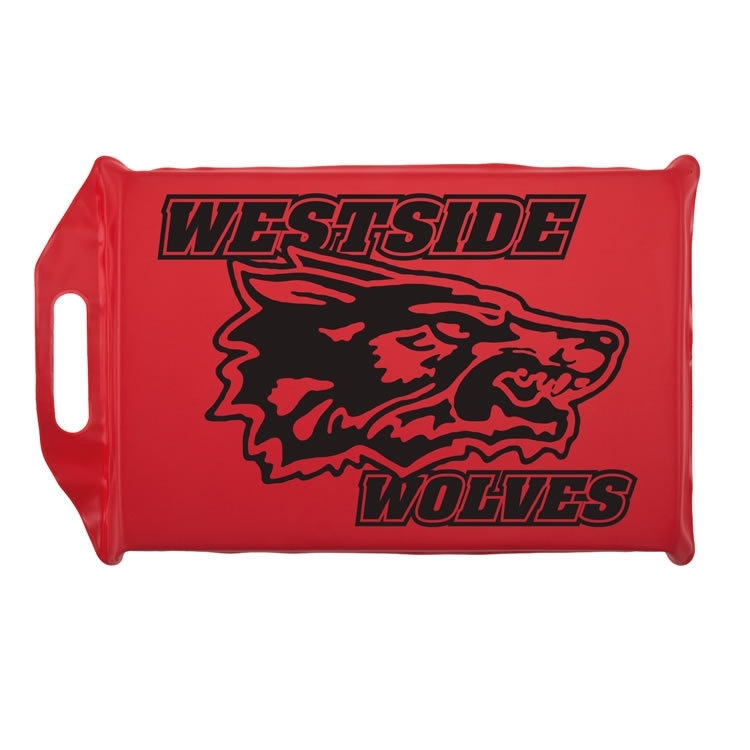 Vinyl and foam stadium seat cushions are great fundraiser items, spirit store products and giveaways at school rallys, festivals and sports events. 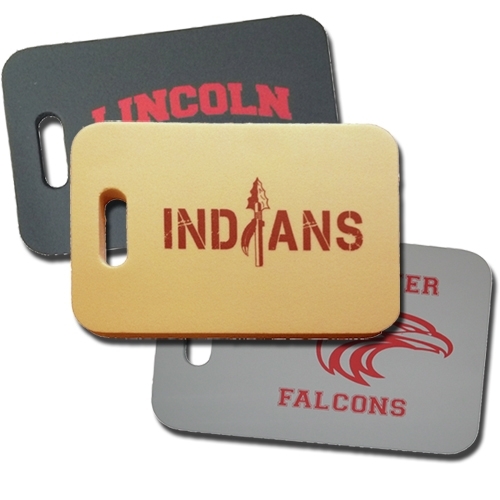 Custom imprinted with your school mascot, motto or personalized message! 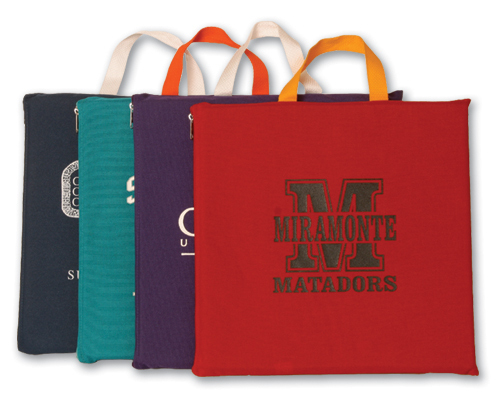 We can help design your imprinted school spirit merchandise! 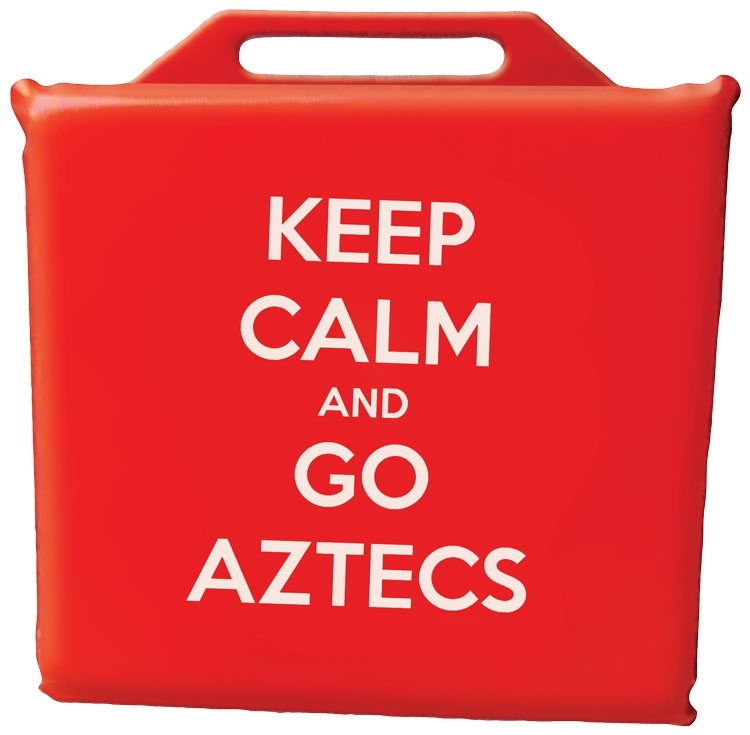 Show support for the local high school, college or professional sports teams with this customizable seat cushion! Measuring 13" in diameter, each round seat cushion is available in 1" thickness. 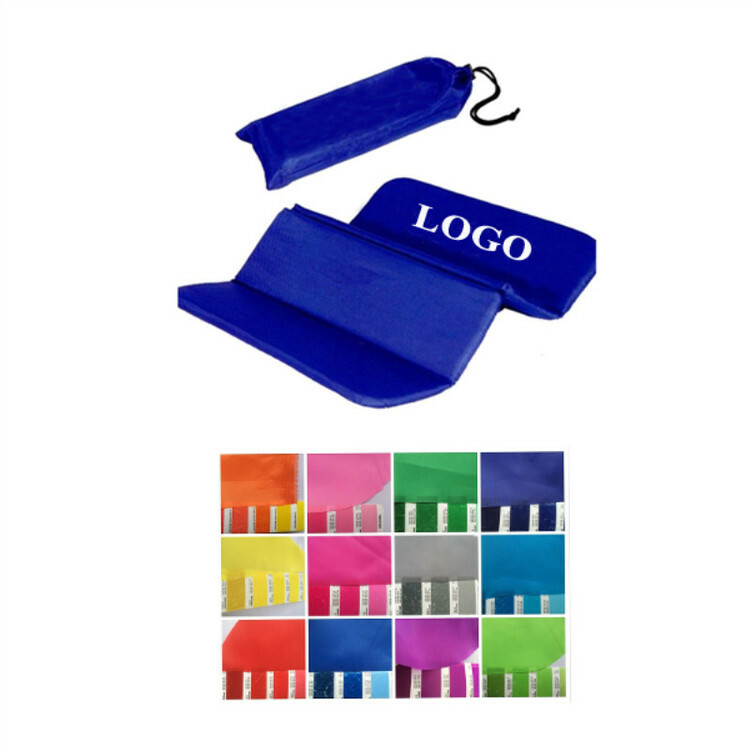 Great for promotional giveaways, each one is offered in several colors. Your branding efforts will come full "circle" when everyone sees your custom design that's imprinted onto one side. Proudly made in the USA and always in stock! 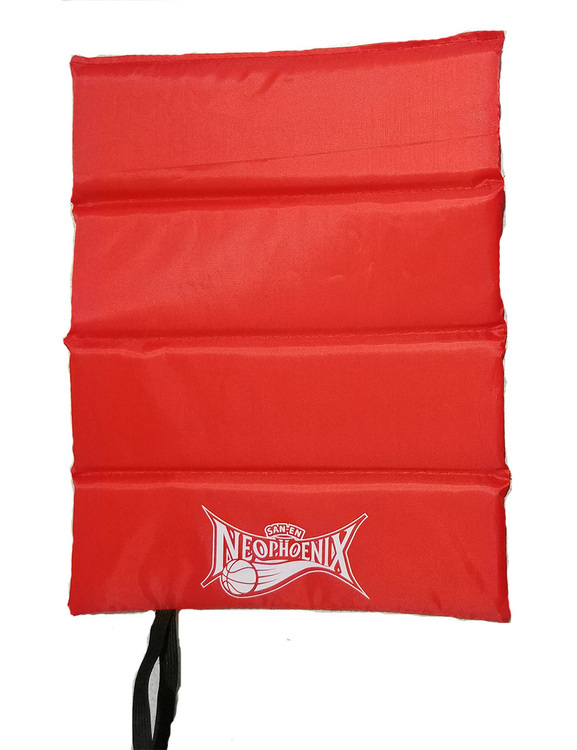 Be comfortable whether sitting in the bleachers or on the sidelines with this foam seat cushion. 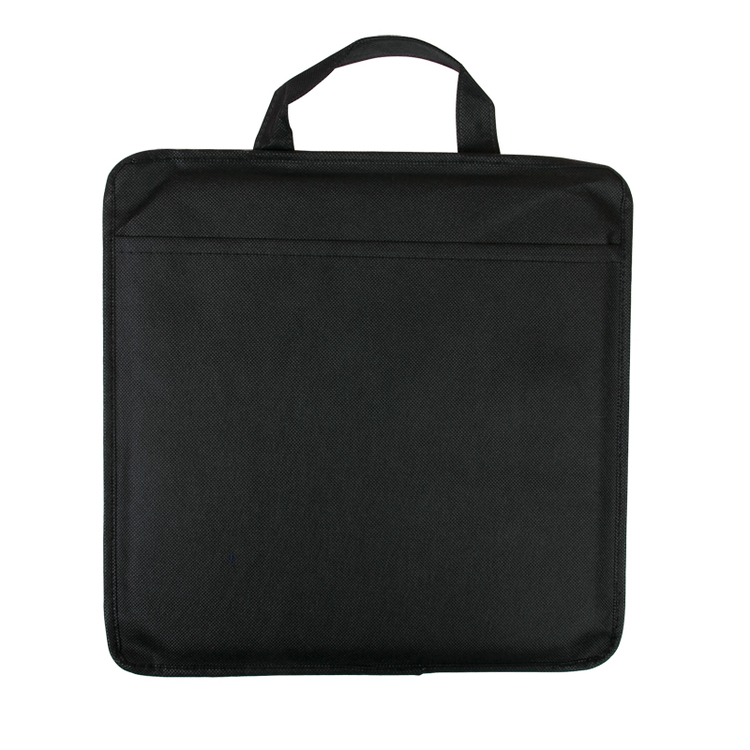 This 13.5” sandwich style seat cushion is perfect for those on the go. It features open-cell foam sandwiched between two durable layers of EVA foam. Make sure your customers are provided with all around comfort. This seat cushion offers vibrant color combination possibilities. Makes a great giveaway! • Vinyl coated foam stadium seat cushion made of quality closed cell foam rubber dipped in vinyl and completely sealed and coated with a shiny durable finish. • Vinyl coating is washable, waterproof, and perfect for outdoor sporting events and gardening. • Cushion is available in 11 different colors with up to 2 side, 2 color imprint. (250 pc min for multi color artwork). • Vinyl dipped bench cushion, approx 9" x 15". Designed to fit stadium and gymnasium bleacher benches. Includes die cut handle for easy carrying. • Foam Stadium Seat Cushion or Kneeling Pad available in Natural & Black foam for value. • Soft closed cell foam rubber is perfect for outdoor sporting events and gardening. • Cushion is approx 3/4" thick and available in many different colors with up to 2 side, 2 color imprint. (500 pc min for multi color artwork). • Please call to confirm material color availability. 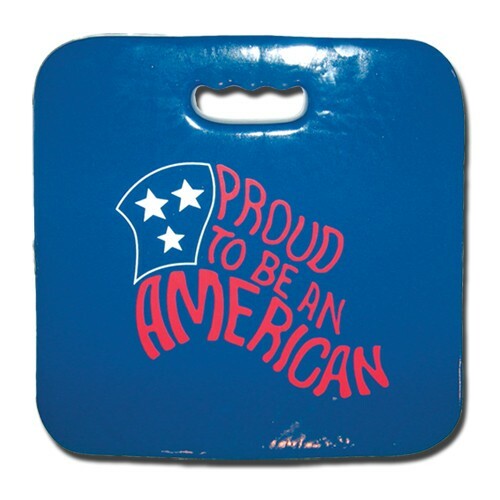 • Vinyl coated foam Stadium Seat Cushion or Kneeling Pad made of soft closed cell foam rubber dipped in vinyl and completely sealed and coated with a shiny durable finish. • Vinyl coating is washable, durable, waterproof, and perfect for outdoor sporting events and gardening. • Cushion is available in 12 different colors with up to 2 side, 2 color imprint. (500 pc min for multi color artwork). • Vinyl coated foam stadium seat cushion made of soft closed cell foam rubber dipped in vinyl and completely sealed and coated with a shiny durable finish. 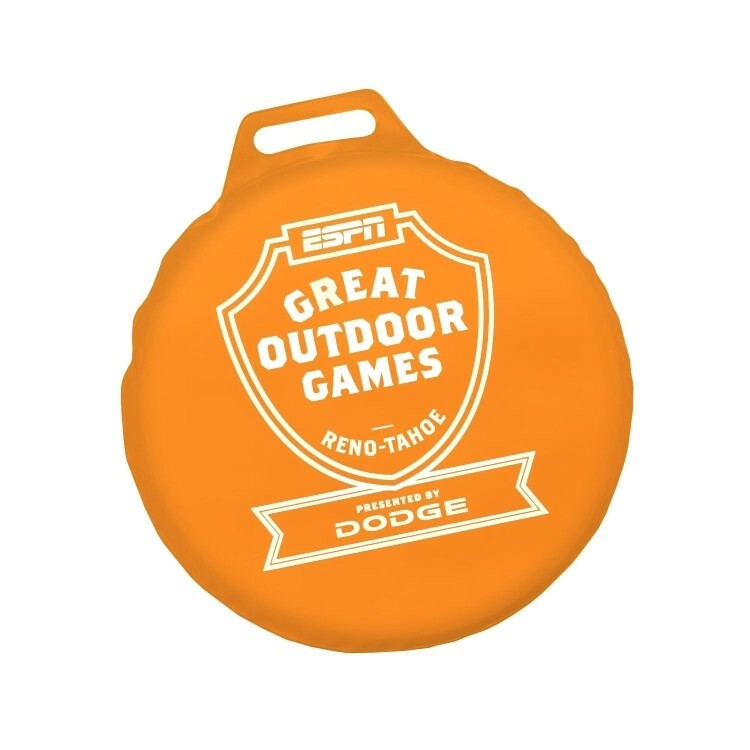 • Vinyl coated so they are shiny, colorful, washable and durable -Perfect for outdoor sporting events and gardening. • Cushions are available in 10 different colors with up to 2 side, 2 color imprint. Standard pricing includes 1 color, 1 side imprint. (500 pc min for multi color artwork). • Vinyl dipped cushion includes die cut handle for easy carrying. 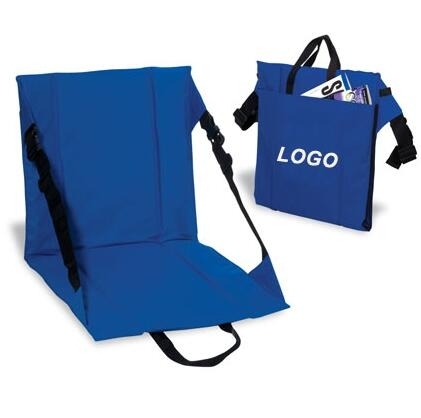 Folding stadium seat w/ handle features cushioned seat and back. Available colors: Royal Blue, Black. • Vinyl coated foam stadium seat cushion made of soft closed cell foam rubber dipped in vinyl and completely sealed and coated with a shiny durable finish. 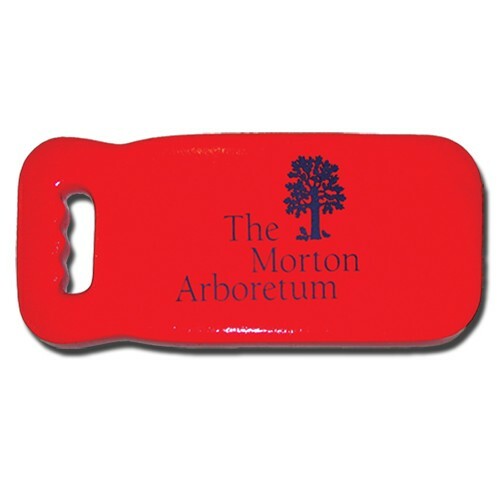 • Vinyl coated so they are shiny, colorful, washable and durable -Perfect for outdoor sporting events and gardening. • Cushion is available in 10 different colors with up to 2 side, 2 color imprint. Standard pricing includes 1 color, 1 side imprint. (500 pc min for multi color artwork). • Vinyl dipped cushion includes die cut handle for easy carrying. Foldable cushion is made of 210D polyester and pearl wool. It be suitable for stadium, picnic, camping, and other outdoor rest. Custom logo can be imprinted with all colors. 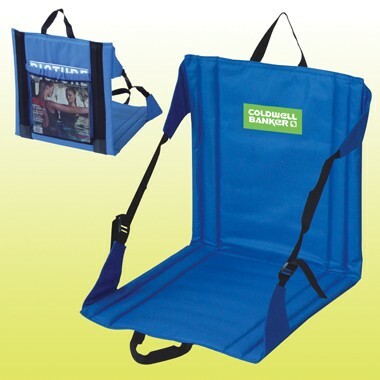 Reusable stadium cushion with front pocket and reinforced 9.4"l carry-handle. Made of water resistant 80 GSM Non-woven polypropylene. Features foam padding for comfort. Available in a range of team and school colors. Silk Screen standard, optional 4 Color Process Heat Transfer standard production time is approximately 7-10 days. (No rush available.) 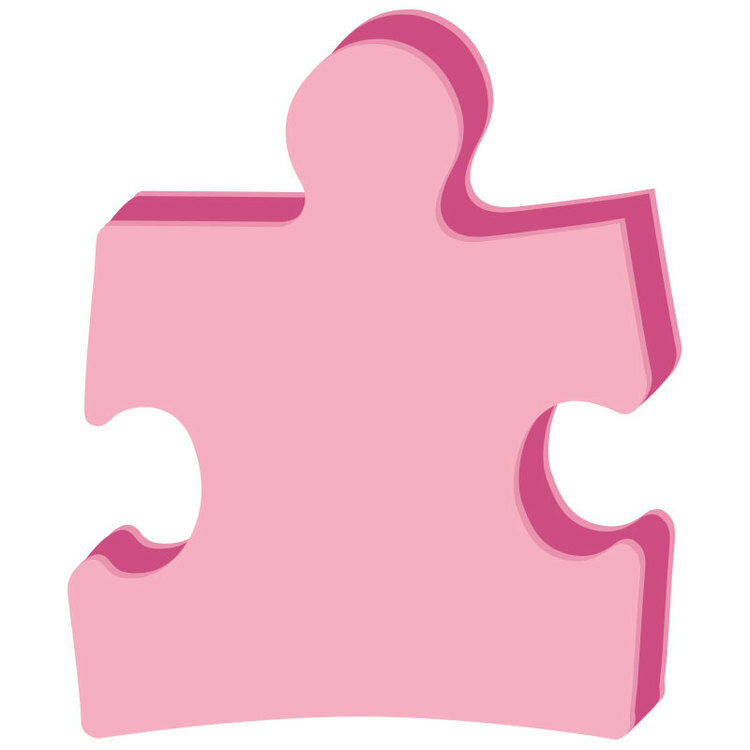 Please note: All 4 Color Process Heat Transfers must be ordered in quantities of 100 pieces (min order of 100 pieces). Cheer on your favorite team or outdoor event with comfort. This affordable Stadium cushion allows you show your team spirit while enjoying the game! It also includes a front pocket for personal items and a handle to transport. Get them comfortable with your logo using this sporty giveaway! 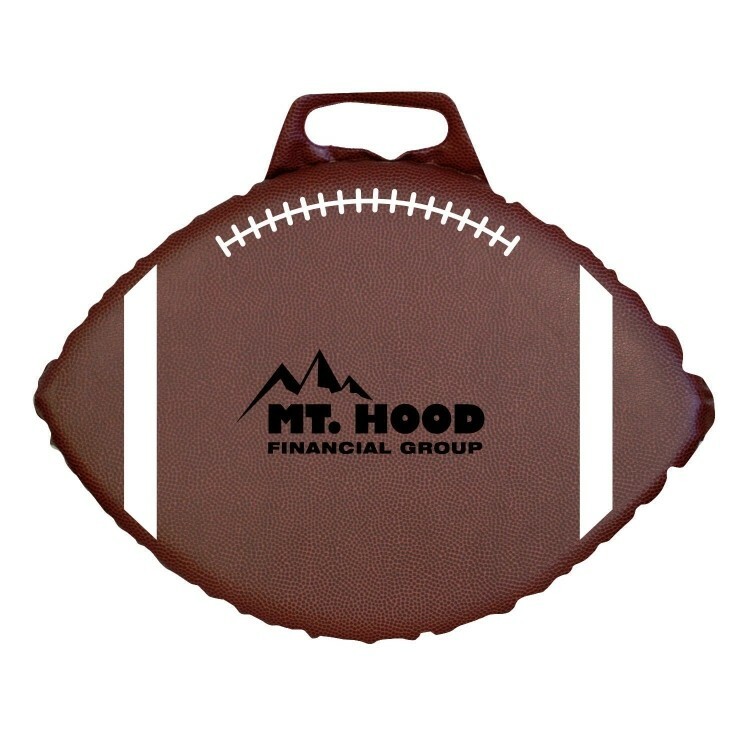 A great fundraiser item for your school, team or organization, our football shaped seat cushion is a fun way to show support. 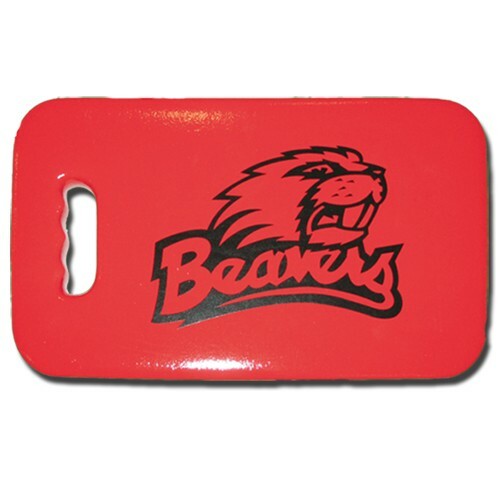 Available in 1" thickness, your name, logo or custom design is showcased on one side. 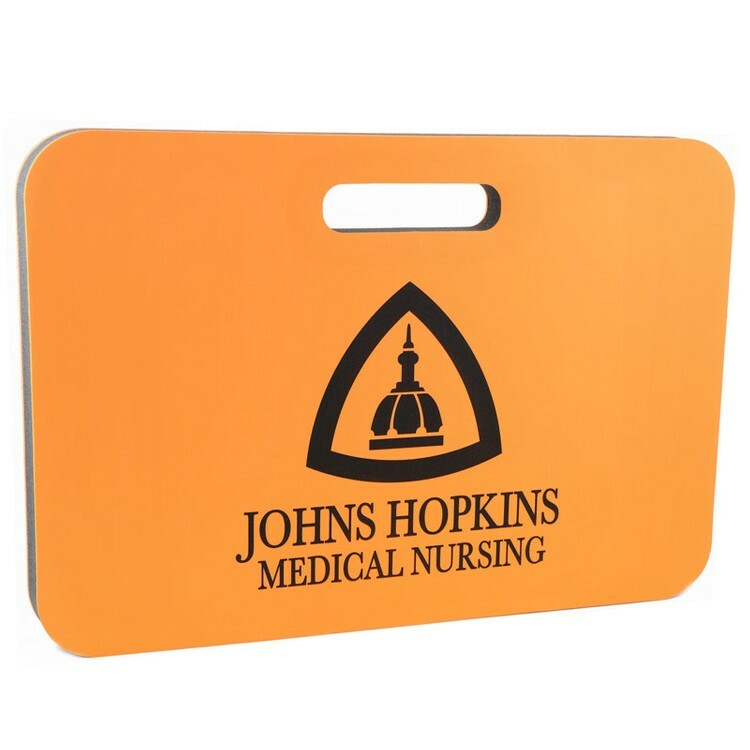 Made of 100% reusable vinyl material, each 15 1/2" x 11" item is available in an array of colors to match your branding needs. Proudly made in the USA. • Made of durable 10 mil phthalate-free vinyl. • Traditional screen print or digital four color process imprint. • Built-in tote handle. • Choose you level of comfzort. • Two-toned cushions available at no extra charge. (Please specify front & back colors) • Made in the USA. The seat cushion is made of quality vinyl with sponge inside. Easy to carry with its built-in tote handle. 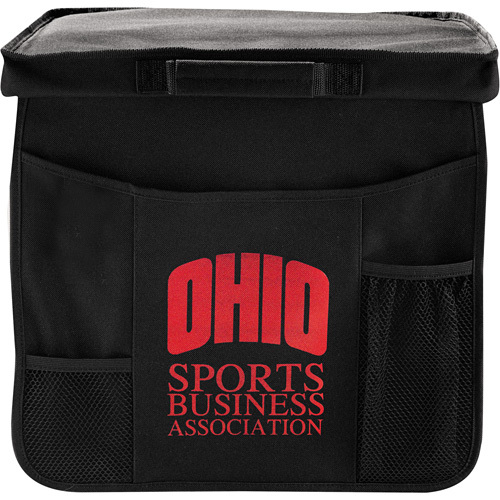 Show support for the local high school, college or professional sports teams with this customizable seat cushion. 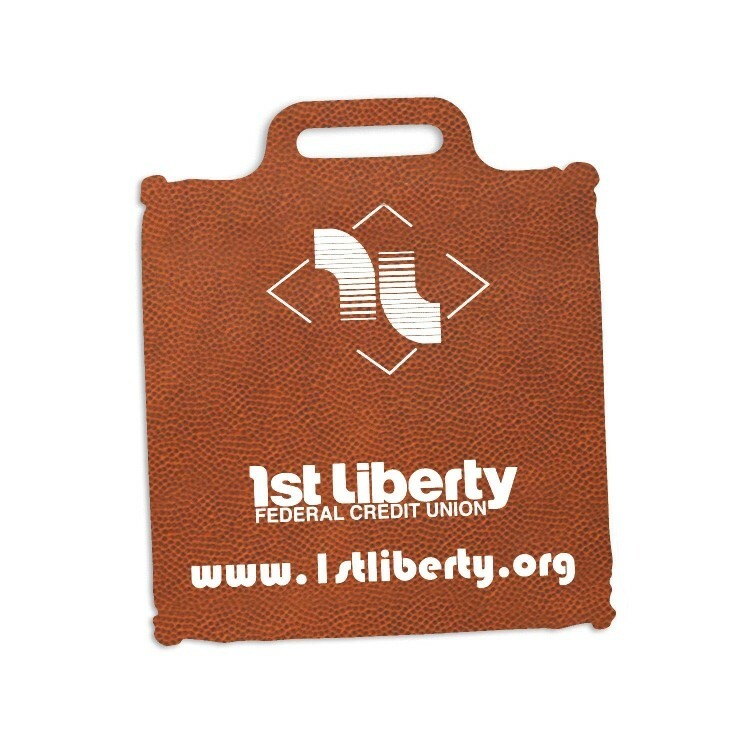 Great for promotional giveaways. Your branding efforts will come full "circle" when everyone sees your custom design that's imprinted onto one side. Get comfortable in this stadium seat while cheering on your favorite team! 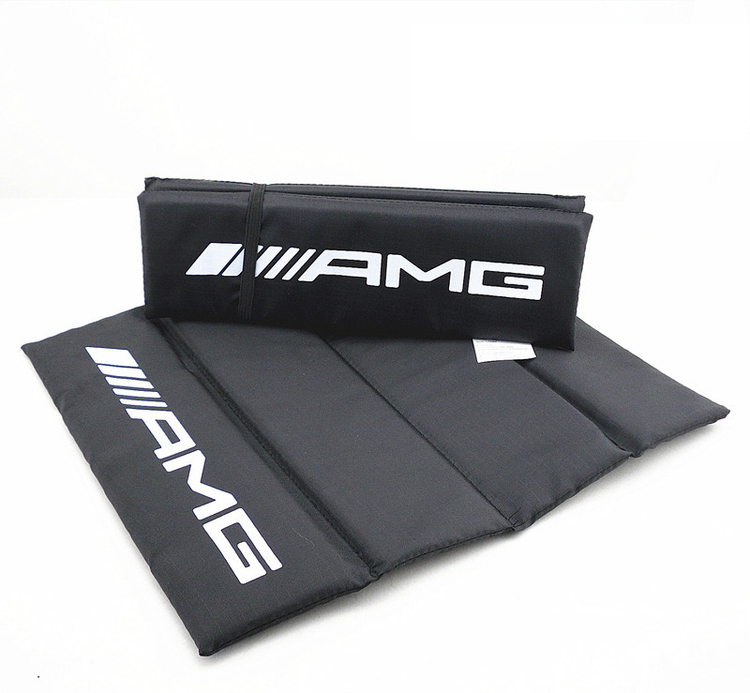 The foldable stadium cushion is made of 210D polyester and 1 cm thickness foam. Custom logo can be imprinted with all colors. Hit one out of the park with this promotional gift! 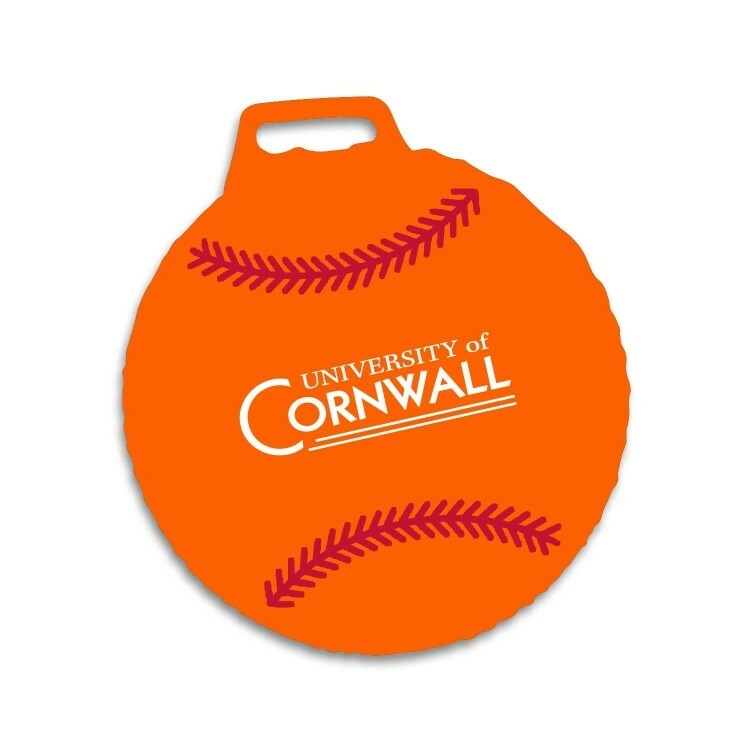 Great for schools, sports teams, stadium giveaways and much more, our baseball shaped seat cushion is great for showing support! Featuring your logo, name and custom design on one side, each 13" diameter cushion is available in 2" thickness and is offered in a rainbow of attractive colors to meet your needs. Proudly made in the USA and always in stock! 1"-thick foam interior. Handle make the seat easily transportable. Flap down organizational panel with compartments for a water bottle, program, blanket and all other game day essentials. Stadium cushion is made of 600D & 8mm pearl cotton. Custom logo can be imprinted with all colors. Make a sporty statement at your next event with this gift of comfort! 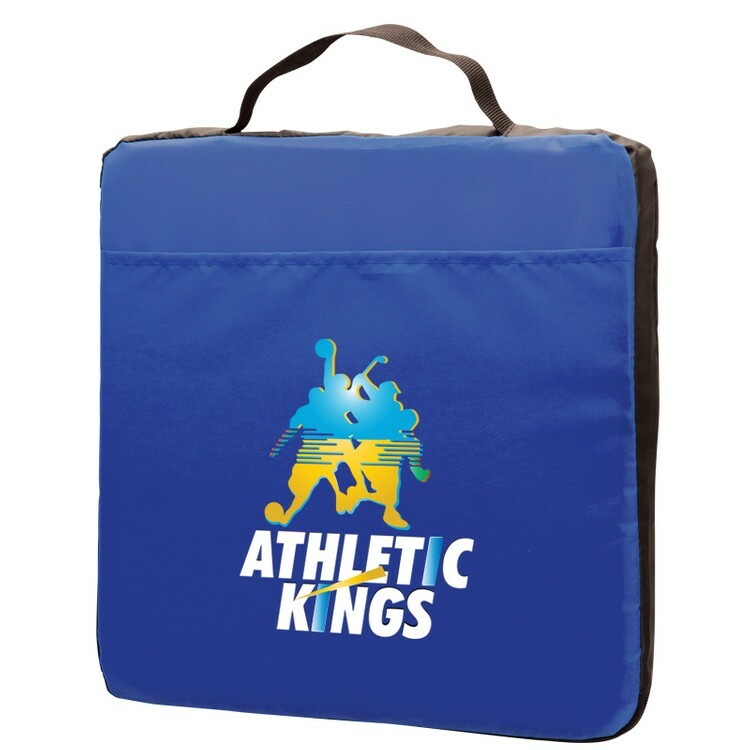 Great for schools, teams and clubs, our soft vinyl seat cushions measure 13 1/2" x 13 1/2" in size and are available in 2" thickness. An excellent giveaway for organizations, sports teams, and fundraisers, each cushion can be customized with an imprint of your choosing. Offered in several colors, the possibilities are endless! Proudly made in the USA and always in stock! Provide the best support to your next promotion with the most popular version in the seat cushion range! The polyurethane open cell sponge foam is sandwiched between 2 layers of EVA closed cell foam, providing a smooth imprint surface and deluxe comfort. 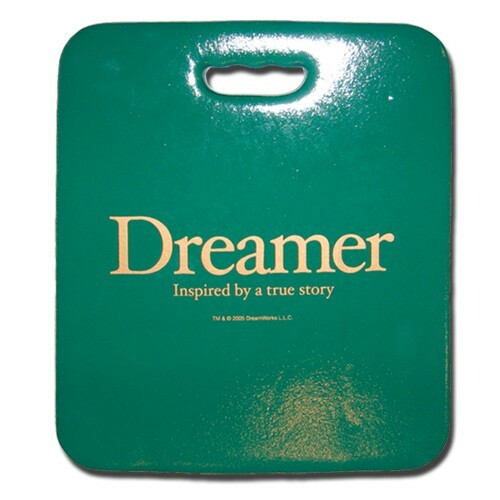 This soft and comfortable 18” rectangle cushion offers vibrant color combinations and imprinting of your logo in spot or full color printing. Great promo for banks, colleges, insurance companies and sports clubs. 12" Round Weatherproof Cushion 3/4"
12" Round Weatherproof Cushion 3/8"
Cater to the comfort of your customer and the growth of your business with this cushy support! 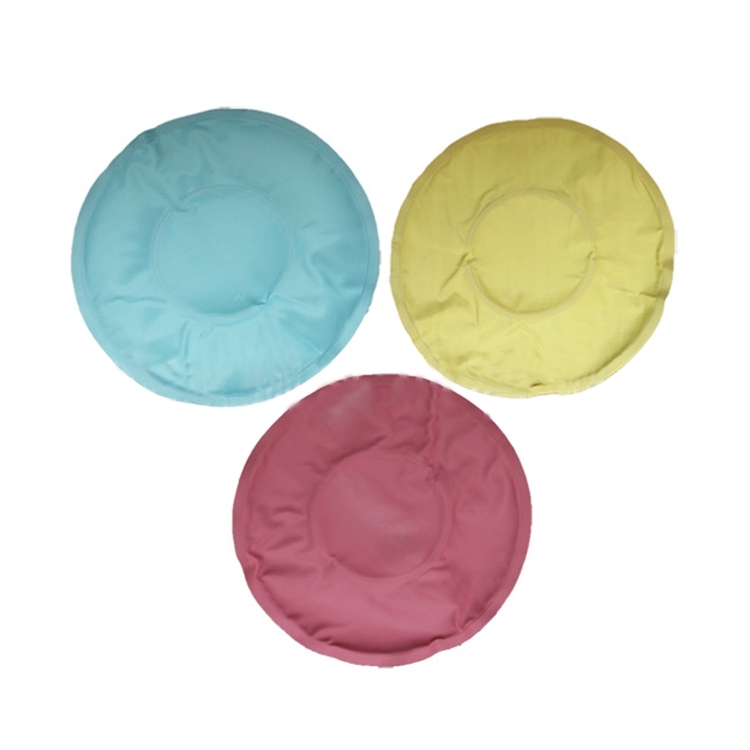 Our 12” diameter seat cushion is made of weatherproof medium-density EVA foam. At single-layer 3/8” foam, this soft prop gives the right comfort and protection from both the heat and cold of aluminum seating. 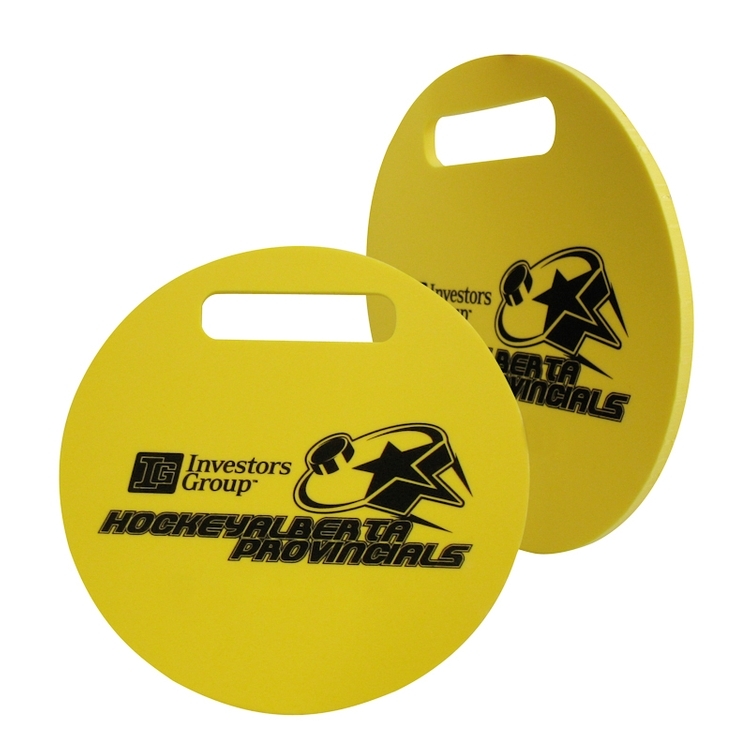 Have your logo silkscreened, and if you’re not sitting on it, pick it up by the handle and use it as a waver to support your team! Don’t let being uncomfortable distract you from the game with the handy Vinyl Covered Foam Stadium Seat. 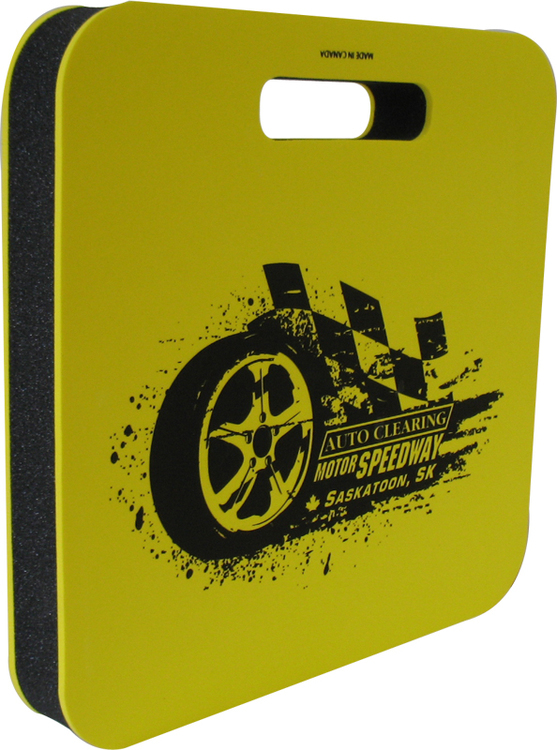 This seat measures 11 inches x 11 inches x 1 inch and is made with a sturdy vinyl material. For your convenience the product comes in a variety of colors for you to choose from. Make this a smart business investment by including a personal message or your company logo thanks to the printed capability. 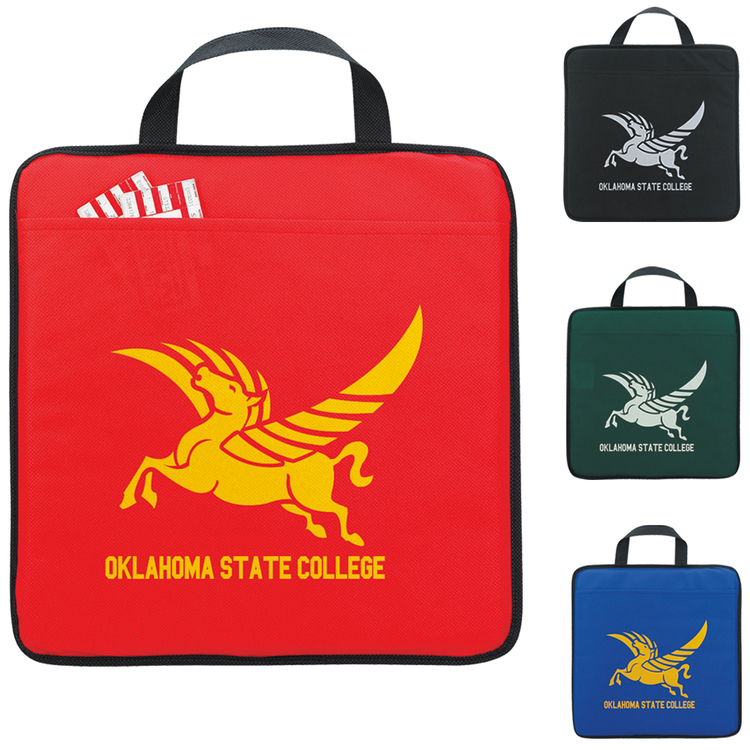 Custom mascot printed stadium seat cushions are great fundraising items! Stay comfortable on bleachers seating at High school, Middle school, and Junior high sports games while promoting your logo, mascot, motto or insginia. 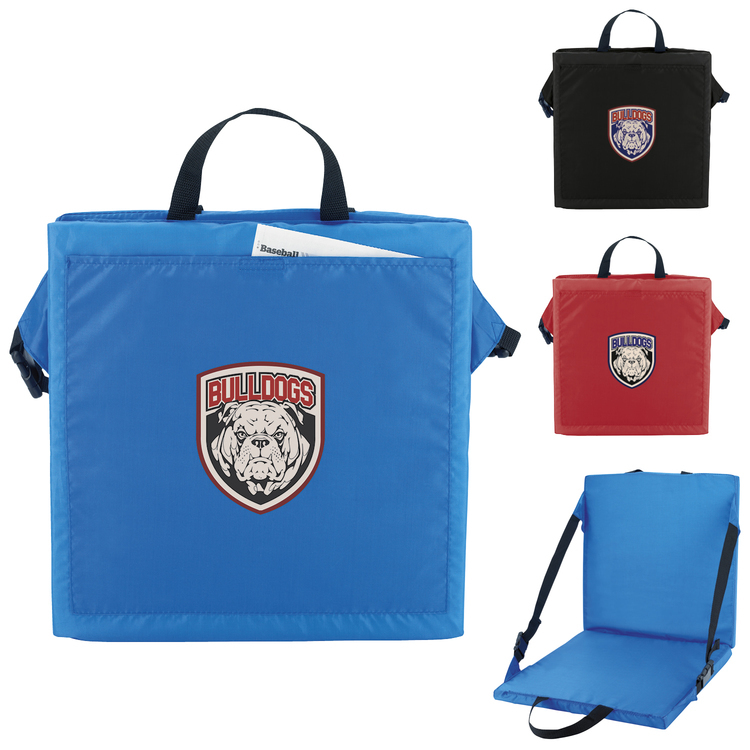 LP Marketing can add your custom printed school mascot, and personalized message on many sizes and foam thickness styles of bleacher seat cushions. Many styles can include your imprinted and customized full color design including your mascot, personalized advertising or logo.